With over 25 years in the business, The Movie Lot is proud to offer the highest level of assistance for locations. We provide full support to any production, big or small, and offer a range of services suited to your individual needs. We are specialists in the field and alongside location departments we ensure the smooth running of any location 24 hours a day. 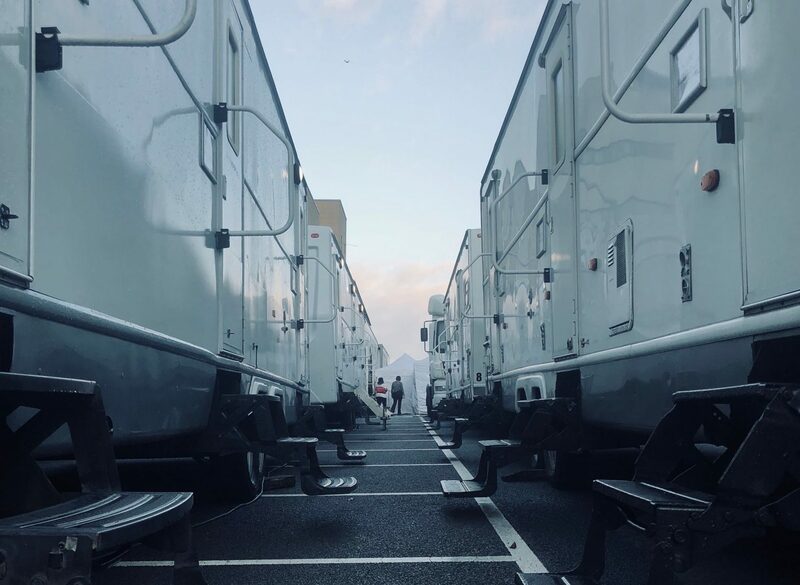 With this in mind, The Movie Lot prides itself in the level of location assistance we are able to provide any set, and guarantee the same attention will be given to all productions, big or small. Maintaining a good relationship with the Location owner and neighbours , keeping them informed of any updates and reassuring them that their property is being looked after. When marquees are in use, we will secure and maintain the area as well as litter collection, monitor the heating/cooling system and diesel levels for the generators and keep an eye out for any wind damage or faults. To support busy Location sites and Location Departments, many of our operatives have towing licences. Our team are more than experienced and several have worked as Unit Managers and are more than happy to be a Location site leader. They will alert the location team to any department movements or deliveries as well as enforcing location owners wishes, as well as ensure a clean and tidy site at all times to give the best impression. Looking for a support team that will assist your Location department ? We are here!. Give us a call to see how we can help ?